C3 Hawks Mission Statement- The C3 Hawks Youth Lacrosse Association (C3HYLA) is a non-profit, volunteer and community-based organization which offers boys and girls in the cities or Chaska, Chanhassen, Carver and Victoria area (grades 2 to 12) an opportunity to learn the fundamentals of lacrosse in a safe, respectful and fun environment. In addition, we will work with all programs promoting lacrosse including Youth Lacrosse Minnesota, Minnesota Boys State Lacrosse Association, and District 112 Varsity Lacrosse program. 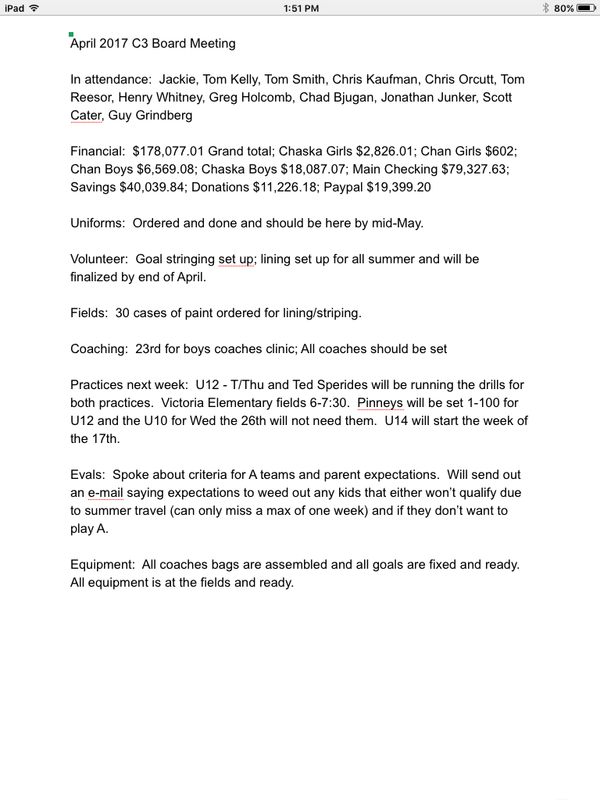 C3 Refund Policy *- REFUND POLICY Refunds will be issued based on the following criteria: 1)Before first practice 100% 2)During first week of practice 100% less $75(For uniform) 3)After first week of practice but before first game 50% 4)After first game 0% INJURY POLICY If player is unable to play lacrosse per doctor instructions, refund will be prorated according to number of games remaining, minus $75 to cover cost of uniform. Financial Aid Application *- If you would like to be considered for a financial aid, please complete this application. Lacrosse Spectator Guide *- Want to strengthen your understanding of lacrosse? This is the guide specially suited for that task. From the Minnesota Lacrosse Association. 2011 YLM Rules Interpretation Presentation- 2011 Coach Rules Interpretation meeting presentation. 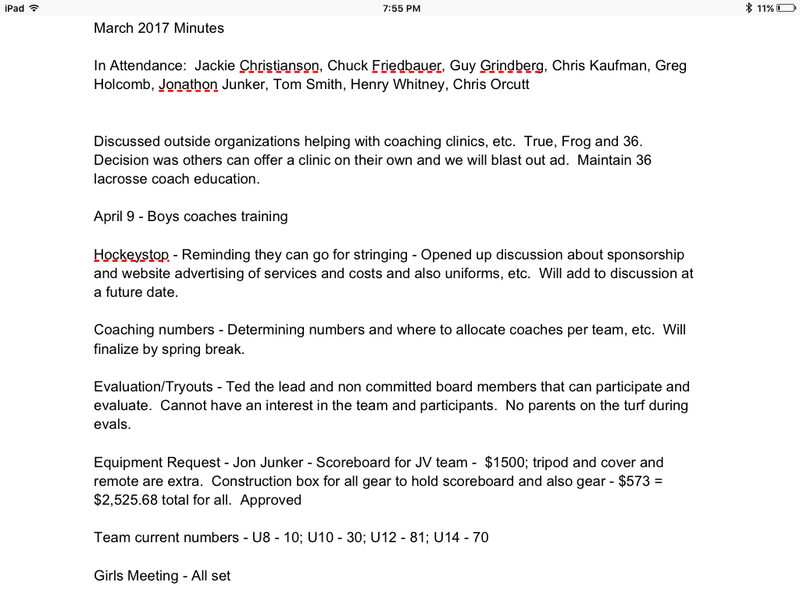 YLM Operational Guidelines *- Boys league operational guidelines as published by Youth Lacrosse of Minnesota. 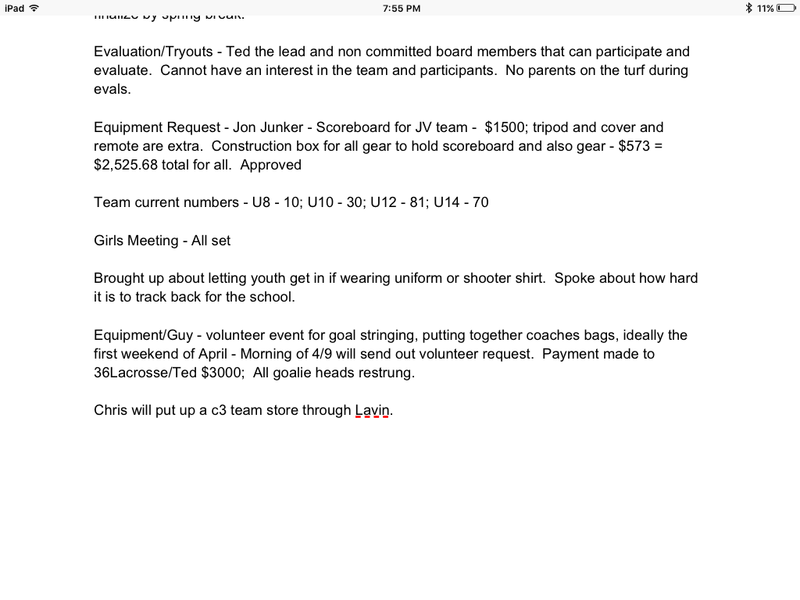 Equipment Guide- This document shows what gear is required for both boys and girls lacrosse.